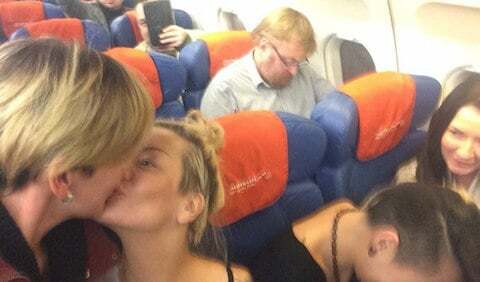 In early February we reported on a pair of lesbians who found themselves on a plane with Russia's leading anti-gay politician Vitaly Milonov, and decided to troll him by capturing him in a photo in which they were kissing. They then posted the photo to social media where it went viral. The couple owns Infinity, a lesbian nightclub in St. Petersburg. Two days later, on February 3, an anti-gay online community based in Moscow and St. Petersburg published a call to get Infinity closed down. The group posted instructions and a scripted complaint to be sent to the district attorney, demanding that police shut down the lesbian nightclub. 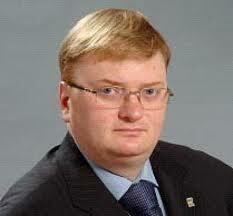 Community members were also encouraged to appeal to Roskomnadzor, Russia’s state-run media watchdog, and federal anti-drug agents, based on claims that Infinity opens its doors to minors and operates as a center for illegal drug use. The anti-gay group, called Moscow Isn’t Sodom and Petersburg Isn’t Gomorrah, claims that at least 524 of the club’s 30,000 VKontakte community members are underage, making the “propagation of homosexuality” a federal crime. Access to Infinity’s VKontakte group is restricted to members, making it difficult to verify accusations that it caters to minors. Infinity was raided as a direct result of the kissing selfie. Whether or not the club will be shut for good is not clear.